If you've ever wanted to meet the things that go bump in the night, stop by the Wenzel Farm Halloween Fantasy Trail sometime this month. Those who brave the family -friendly trail, which spans 1,000 feet, will experience a variety of spooky sights and sounds. 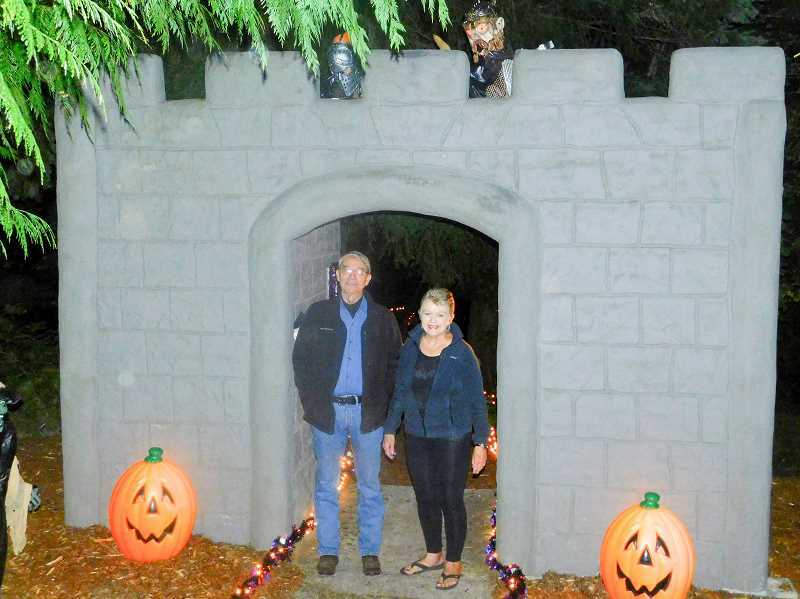 Janice and Wayne Wenzel, the forces behind the experience, started the Wenzel Farm Fantasy Trail 25 years ago with a Christmas-themed path. 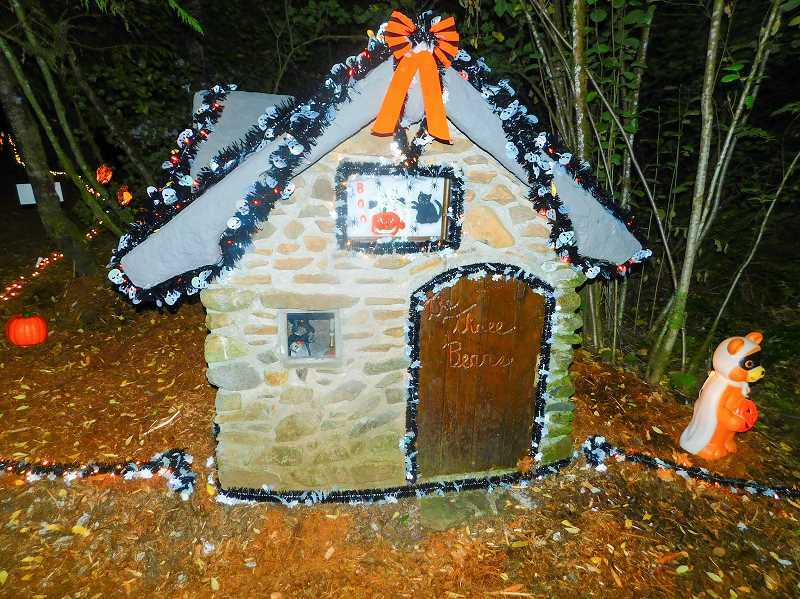 Their Halloween Fantasy Trail was born two years later. "We had (thrown) Halloween parties for our kids, and we thought it would be good for families to have a place to go," Janice said. "Everything here is geared toward families." Years ago, Wayne built houses for the couple's children to play in, which is how the trail got its start. "I would read how to (build them) in books and just do it," said Wayne, a retired high school math teacher. Today, structures on the trail include a 40-foot castle, little brick houses, tiny rock houses, a maze, a pirate ship, two tunnels, a suspension bridge and several slides. Those feeling particularly adventurous can go inside several of the buildings. There's a lot to see on the Halloween Fantasy Trail. Witches, ghosts and other ghoulish creatures peak out from between the trees as those braving the trail walk past everything from the three bear's house to a graveyard. Guideposts advise adventurers to stay on the trail while lights shaped like skulls hang from the trees and illuminate the way forward. One sign denotes a witch's crossing, and another simply advises those who journey through the trail to beware. Inside the towering castle, animatronic ghosts, witches and vampires make their home and have something spooky to say to those who dare step inside. 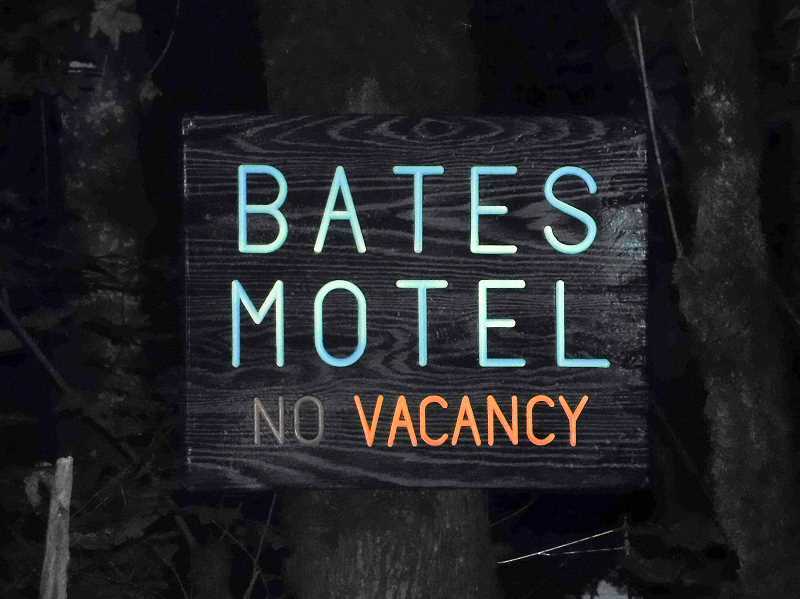 Along the trail, a sign for the Bates Motel lights up as a recording of Alfred Hitchcock reads Halloween stories. Further down the path, a maze leads to a pirate ship, where an unfortunate seafarer is forced to walk the plank. Signs like "Beware ye who enter here" and "Old pirates never die — they just smell that way" decorate the walls of the maze. When they reach Sleepy Hollow, attendees can listen to a recording of the Washington Irving story of the same name and catch a glimpse of the Headless Horseman. Those who are feeling particularly brave can step inside the trail's jail, which leads to the infamous "crooked house," a tunnel that requires people to duck and crawl to make their way out of it. at the Halloween Fantasy Trail. "The gory stuff, we don't have that," Janice said, noting that the emphasis is on spooky sights and sounds rather than jump scares. "This is a place people can come with families." 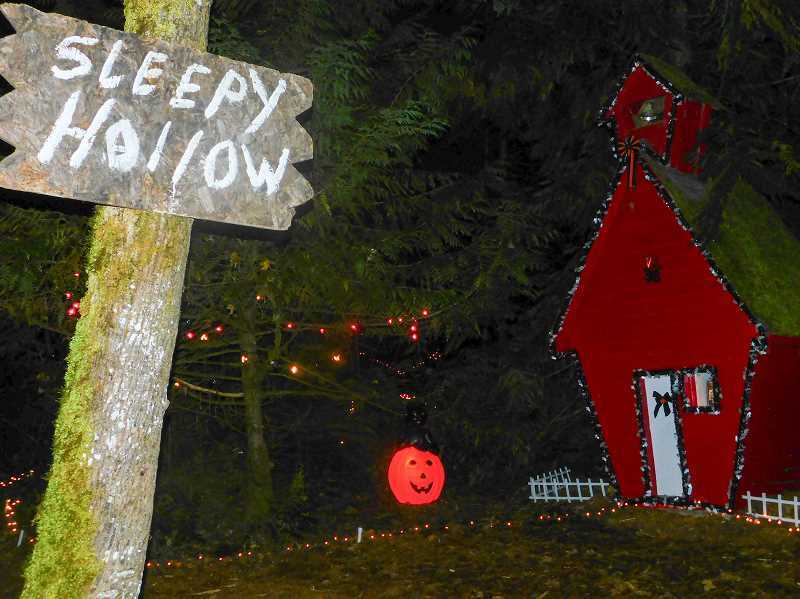 The Halloween Fantasy Trail, at 19754 South Ridge Road, is open every night from 7-10 p.m. through Monday, Oct. 30. In addition to the evening hours, the trail is also open from noon to 5 p.m. Fridays, Saturdays and Sundays. 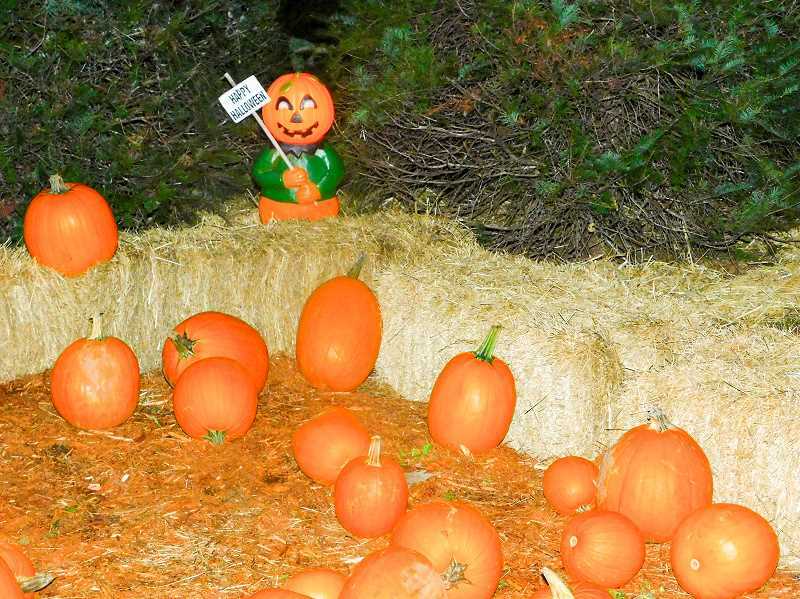 The trail's pumpkin patch is open from Friday through Sunday. This winter, the Christmas Fantasy Trail will run from Dec. 2-30.
and other purchases are cash only. For Wayne and Janice, the best part of running the fantasy trail is interacting with visitors. "The first time kids are here, you see them light up, and you see their reaction," Wayne said. Because the trail is more than two decades old, who visited children now bring their own children. Additionally, Wayne often sees former students. Over the years, there have also been several marriage proposals on the trail. "It's just fun stuff," Wayne said, summarizing the experience.